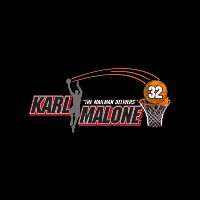 Welcome to Karl Malone Chrysler Dodge Jeep Ram! As one of the largest Chrysler dealerships in the area, we are proud to also offer a vast selection of new Dodge, Jeep, and Ram models, all with our Pure Country Price, to customers from Heber City, UT. We treat the needs of each individual customer with the utmost concern and we have a continued commitment to every guest that visits us. Not only do we offer a huge selection of quality vehicles but we go the extra mile to make sure your car buying experience is quick and hassle-free! You can trust that Karl Malone Chrysler Dodge Jeep Ram will find you the car, truck, SUV, or van you choose with professionalism and attention to your needs. We look forward to continuing to build on a tradition of success and serving our customers throughout Park City, Salt Lake City and Provo, UT. From new and used Chrysler, Dodge, Jeep, and Ram models to auto loans, and OEM parts, Karl Malone Chrysler Dodge Jeep Ram is the one and only full-service dealership you need! Whether you need a vehicle repair, financial assistance, a new car or anything else, our friendly and knowledgeable staff will point you in the right direction. Visit us today at 46 East 200 South, Heber City, UT 84032. We look forward to seeing our customers from Park City, Salt Lake City and Provo, UT!